Michell Instruments introduces a new class-leading range of trace oxygen analysers for use in semiconductor and gas manufacturing industries. AMS Instrumentation and Calibration has introduced a new flow switch designed to provide a reliable solution for relief valve leak monitoring in natural gas fractionation process facilities. The new FlexSwitch FLT93 Series flow switches from Fluid Components International (FCI) will assist process and plant engineers responsible for the safety of natural gas fractionation processes keep their facilities safe without the inconvenience of false alarms that interrupt operations, upset plant employees and require additional paperwork and meetings to report and resolve. CSG fractionation process facilities separate ethane, propane, butane and other heavier hydrocarbons from mixed CSG streams. Multiple trains and columns are typically used in a fractional distillation process, with relief valves installed as critical safety protection devices that release when needed to prevent pressure from building within the process. A flow switch is typically installed after the pressure relief valve and sounds an alarm if there is flow. 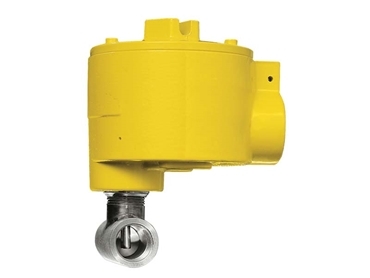 For the CSG fractionation process to work efficiently and safely, the operation requires early and reliable indication when a relief valve leaks or lifts during an overpressure situation. If gas is being released through the pressure relief valve, the flow switch will indicate to plant engineers via a dry contact that there is an event in progress. Appropriate corrective action is then taken to resolve the event. FCI’s highly accurate and dependable inline FLT93L flow switch is ideal for relief valve leak monitoring in natural gas fractionation applications. The FLT93L is a heavy duty thermal dispersion flow/ level/ temperature switch based on FCI’s 50-plus years of experience. 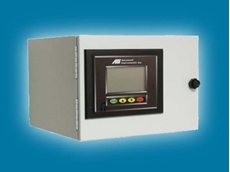 Key features include an all-welded thermal sensor suitable for both gases and hydrocarbon-based liquids; advanced electronic control circuit, which is field configurable to satisfy any combination of application requirements; voltage output allowing the user to accurately set the desired trip point; delta range between the two RTDs providing a span for setting the switch trip points; flexible dual relays settable for any combination of flow, level and/or temperature alarms; standard flow accuracy of ±2% of setpoint velocity over a ±50°F (±28°C) temperature range meeting the needs of the application; and repeatability of ±0.5% reading enabling dependable, reliable operation in relief valve leak monitoring. 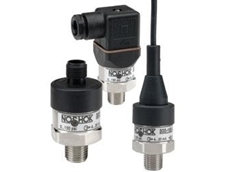 All FLT93 Series flow switches are temperature compensated to ensure accuracy under rugged petrochemical plant operating conditions. The absence of moving parts ensures exceptional safety and long lifespan for thermal flow switches. FLT93 Series flow switches have a long instrument life with an MTBF of 190 years, and a low lifecycle cost with low maintenance requirements. Also SIL-2 rated for ultra-reliability, the FLT93L switch offers Ex agency approvals including FM, FMc, ATEX, IECEx, Inmetro and TR CU. A fail-safe, dual alarm (SPDT) control circuit is integrated with FLT93 switch’s thermal flow sensor for field flexibility and user friendliness. Dual independent heavy duty 6A SPDT relays in the control circuit provide multiple alarm combinations. 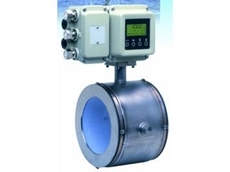 They can be set for flow rate and temperature, high flow and low flow, point level and temperature, flow rate and low liquid level, three-phase interface or fail-safe flow, level or temperature.